One game closer to the Super Bowl, four teams left in the running will be decided at the Conference Championships, and sportsbooks have all of the action. This is the time of the year when betting skyrockets, making it quite profitable for the fans. 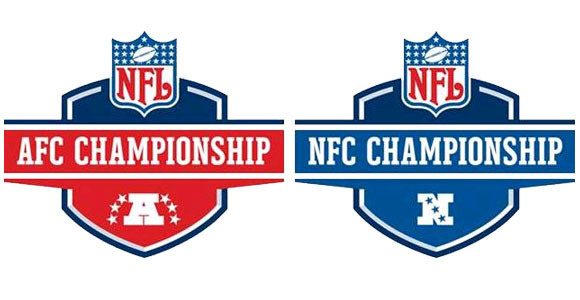 We will preview the AFC and NFC championship matches, as the franchises try to make history, along with the different odds you can get. Tom Brady: throwing like a beast with 302 yards in their first playoff game of the season. Rob Gronkowski: Brady’s go-to man has been amazing, catching for 2 touchdowns against the Chiefs. Chandler Jones: getting a sack and forcing a fumble, he will create big chances. Peyton Manning: despite being old, he still has his last-rocket-arm, now if he could only be well protected in the pocket. J. Anderson/Emmanuel Sanders/Demaryius Thomas: these three make the perfect offensive combo that allows Manning freedom when throwing or running the ball. DeMarcus Ware/Antonio Smith: these two defenders will be the best chance the team has of putting pressure on Brady. Carson Palmer: threw for 349 yards against the Packers, but showed he was vulnerable with w interceptions and 3 sacks, so if they can protect him enough from Panther defense, he will be great. Larry Fitzgerald/David Johnson: being the top receiver and running back on the team, Palmer will use them the most. Dwight Freeney/Tony Jefferson: Freeney is a beast on the rush and will help contain the quarterback, and Jefferson is amazing at reading the plays. Cam Newton: he is quarterback and running back, making his versatility on the field a dangerous advantage. Jonathan Stewart/Greg Olsen: when Newton isn’t doing everything himself, he will use both of these talented players. Entire Defense: there are too many names to pick, seeing as their entire defense is deadly and will need to be contained by the Cardinal offensive line if they hope to score. The sportsbooks are being cautious with these top tier games, as the match-ups are so well-balanced that it is tough to know if one team truly surpasses the other by a big margin.